Here are my top picks for some great home basics from Wayfair.ca that you can mix with many different colour schemes and décor styles. Today I’m sharing a BUNCH of things that I love and I’m going to talk about how they would work in my future dream house… but also our current house. 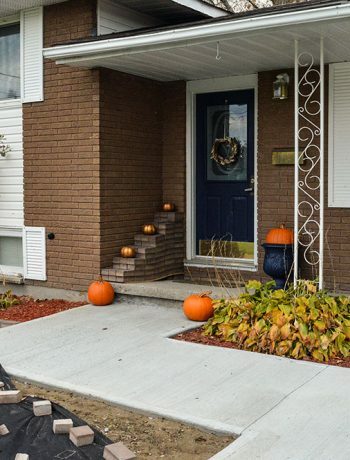 So, if you’re just starting to collect home items (maybe it’s your first house as a couple or you’re moving away from your parents) I have some great home basics from Wayfair.ca that you’ll love and be able to incorporate with many different colour schemes and design styles! Last week I introduced you to a few different blogs I follow, as I’ve been trying to define my décor style more lately. 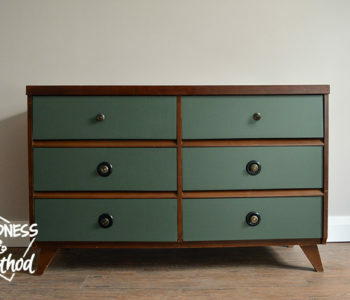 I want to decorate my home with a cohesive vision in mind, and some of the things I’ve bought (or inherited!) in the past, while functional, don’t really fit with what I like and enjoy. I think that I’ll slowly be incorporating more “me” into my décor, so you might see some new additions in the near future. 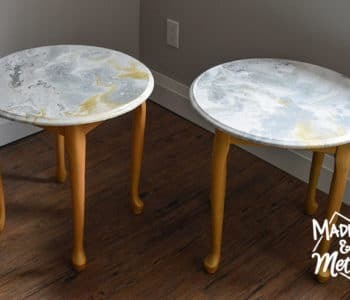 As a Wayfair Homemaker, I was asked to feature some of my picks for items on Wayfair.ca, and I knew that it would be a great way to continue the trend from last week, and talk about my style (while highlighting the things I like). Everyone needs a good set of cotton sheets! 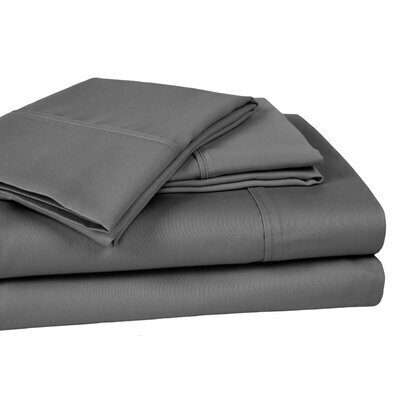 I like that these come in a few colours, and work for extra deep mattresses. Once you go bath sheets you never go back! 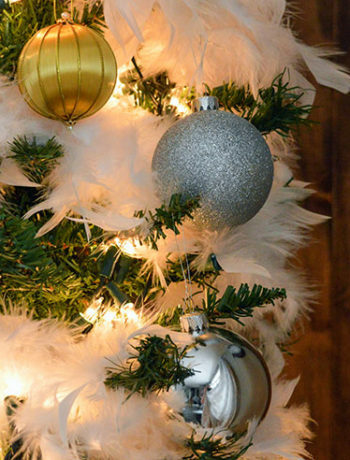 The extra-large size is so much more convenient, and white matches all décor. 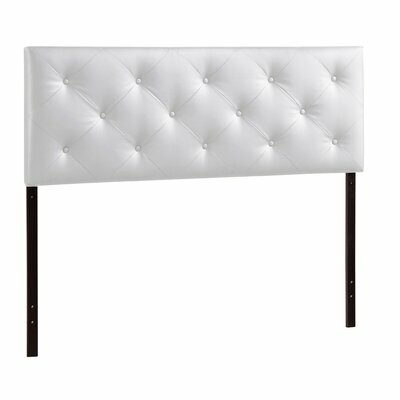 I’ve always wanted a padded headboard – and this one is nice and straight across! I have these in the black and white pattern. 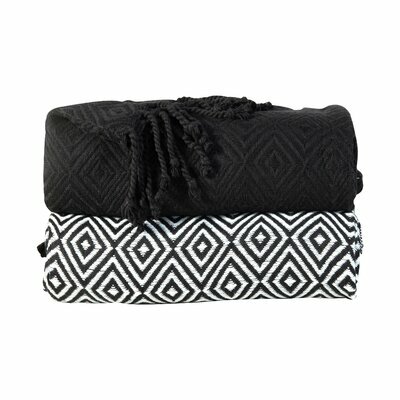 I love that you get two throws which makes layering easier! 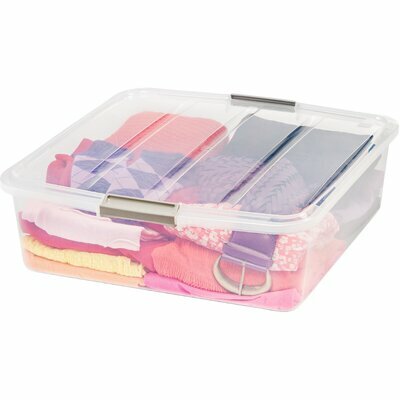 Everyone needs storage bins and having 6 clear ones that match is so handy! I use under-the-bed storage bins all the time. 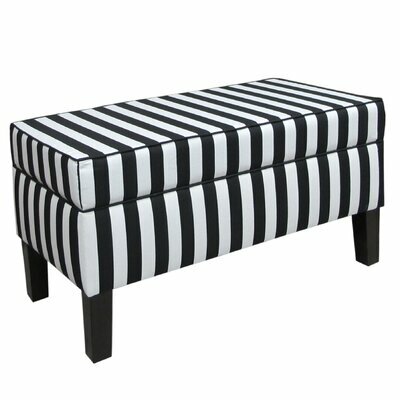 Such a fun, bold ottoman that could easily be placed in any room! And STORAGE! Geometric Pouf OttomanPouf ottomans are very on-trend right now, and the bold graphic is super fun (and can probably hide a little stain or two). 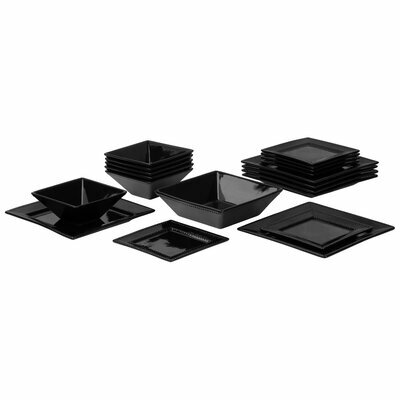 A plain set of dishes can be accessorized with different table accents and can work in fancy or casual settings. These chairs are super versatile and can be used in the dining room or an office. I really like the all black version and that they come in a set of two! What a great looking, modern sectional and I love all the different fabric and colour options! I think “sterling gravel” is my favourite. 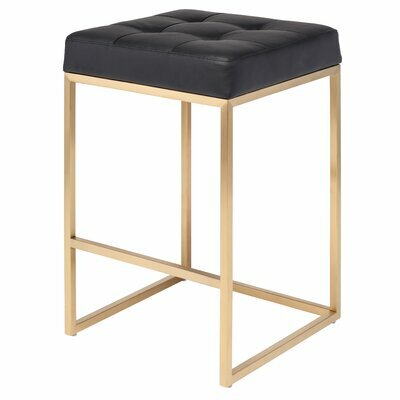 What’s not to love about these stools!? They come in either black or white with bold, gold legs and a built-in foot rest!. 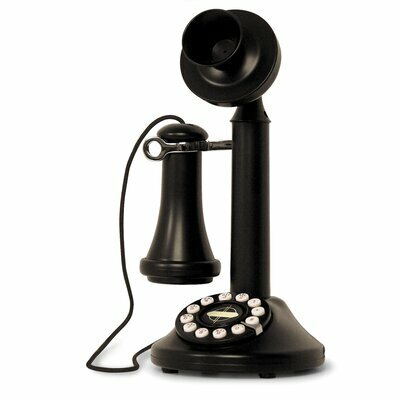 I’ve ALWAYS wanted an antique phone with a separate ear and mouth piece, and this one is gorgeous and functional! This is definitely a laundry basket that you won’t be embarrassed to leave out! 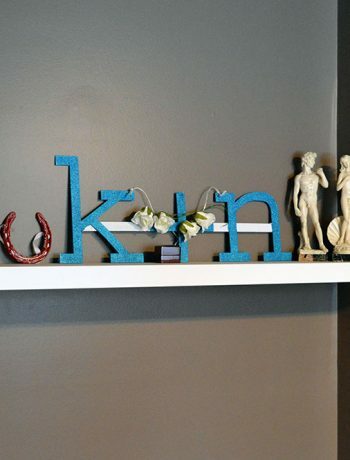 You could use it as décor too, and have a place to hold spare blankets, pillows, etc. This storage basket could double as a side table and I really like the natural look and interesting shape. I can’t pick which colour I like more! At one point, we had 4 sets of sheets for our bed (one was not even opened yet) and spoiler alert: no one needs that many sheets! 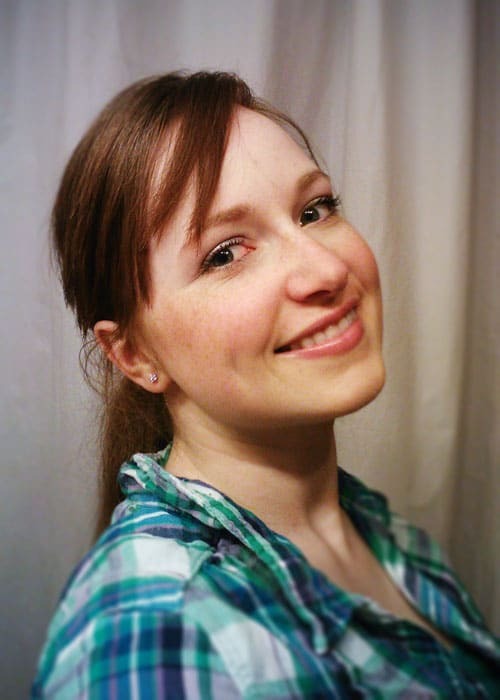 We only use two sets, but my favourite ones are 100% cotton, so I definitely use those more! Every set of sheets I’m going to get from now on is going to be 100% cotton. I talk about my love for under the bed storage bins ALL the time. 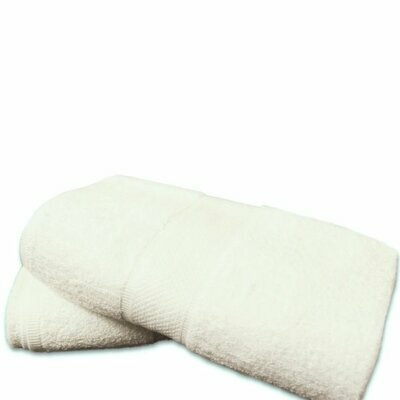 These come in a pack of six, and are a bit smaller than the normal long ones – but they certainly are handy. Storage. Stripes. What more do I need in my life? 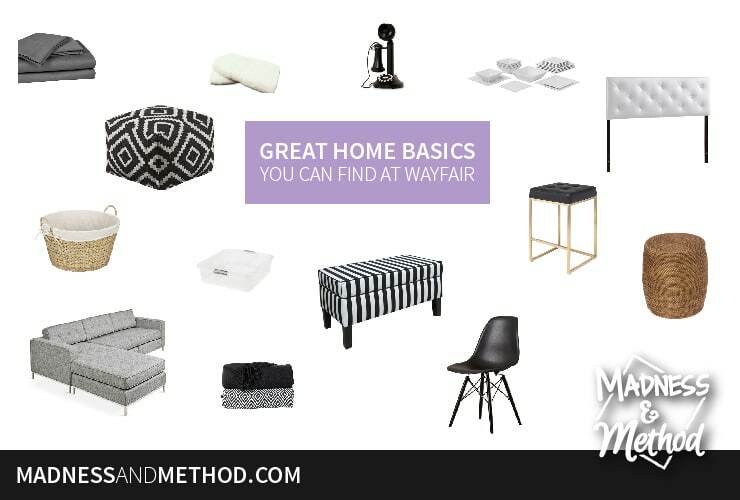 Wayfair had a feature on their website with black and white striped décor, and I’m pretty sure I saved all the things! 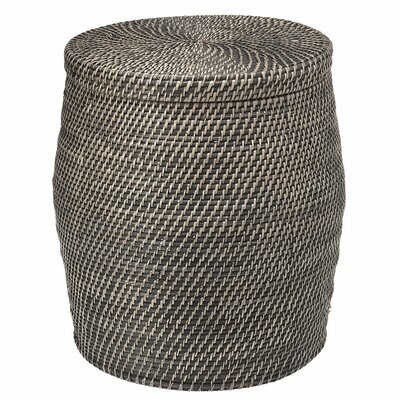 Also from the Wayfair black and white showcase, this pouf ottoman would certainly fit in our upstairs living room! I haven’t given a pouf a real try, but I assume they’re a happy medium between the casual sitting of a beanbag chair, with the design and style of an ottoman. This style of chair is supppperrrr popular, but I like these all black ones – it’s just something extra fancy! 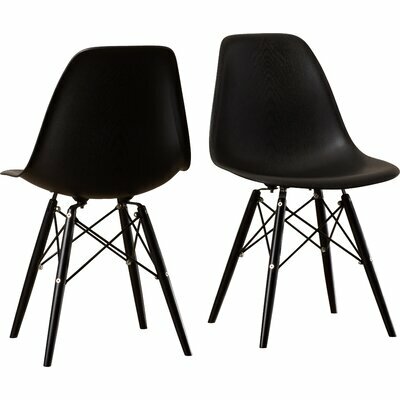 I would definitely use them as dining chairs, but they would also work really well as an office chair. I’m kind of rethinking my rolly office chair since the mister likes to crawl near my feet… and I will for sure be upgrading from the dining room chairs we have now (white upholstery does not go well with feeding babies!). I’m planning on having this sofa in our future house as I’ve always wanted an L-shaped medium gray sofa. This one is perfect! 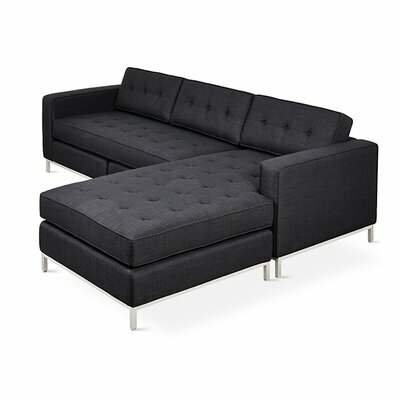 The dark couches we have upstairs show wayyyy too much Tootsie hair, I’m thinking the “Sterling Gravel” colour might match a lot of décor, and hide a lot of hair :) I could totally put this downstairs or upstairs… so whichever couches go caput first will be replaced with this one! You know when you just see something and you’re like yup – that’s what I want! I could literally design my future kitchen based off these, and I really like the built in foot rest. I also realllllyyy like these acrylic and rose gold ones, but they’re out of stock. I’ve always wanted an old phone with a separate mouth and earpiece, so I was pleasantly surprised when I found a few on Wayfair.ca. I feel like since we’re “one of the weirdos” who still uses a home phone, might as well be cheeky about it! This laundry basket is super cute, and it comes in two colours! I would totally use it in our basement as a place to hold our pillows and blankets, and it has a lot of good reviews too. So what do you think of my picks? 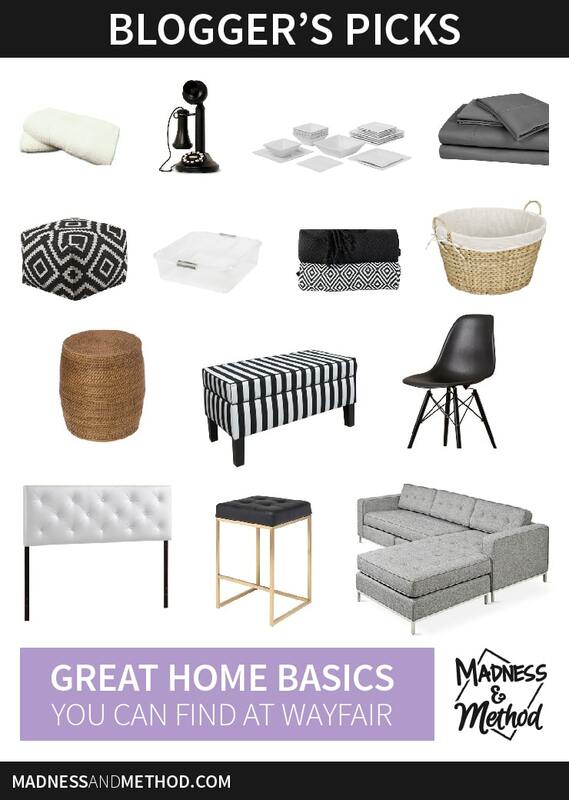 Do you have some of these great home basics at your house? If not, which items could you bring in and match with your style? I always talk about our “future house” and all the great things we’re going to have, but I want those nice things now (and not in 5+ years when we actually build our house!). So, as I mentioned before, you might see some of these new additions in the future!